Check out the article below from a guest blog writer - Natalie Jones. Natalie Jones is the creator of http://homeownerbliss.info/. She is passionate about making the process of home buying less stressful and scary for first-timers, as well as inspiring homeowners of all stages enjoy the benefits and perks of home ownership! Moving into a new house is like relocating to a different world, even if you’re just down the street. But it doesn’t have to be. These 10 quick tips can help make your house a home within the first few days. 1. Tackle home security. Even if you’re moving into a safe neighborhood, you’ll sleep better if you take the time to handle home security before your first night. Schedule your alarm hook up and ensure outdoor floodlights, fencing and other security features are operational. 2. Get to know the neighborhood. By closing, you should already have a good idea of the general layout of your subdivision. If not, take a few hours to scout the location of the nearest grocery store, gas station, school, playground and hospital. A walk around the block will also give you the chance to meet the neighbors. 3. Personalize your living space. Nothing says home quite like family photos and treasured belongings. Unpack these items first, along with everything you need to cook a good meal. Dining together is especially important if you have children as time around the dinner table will let you reconnect and give your children the opportunity to talk to you about their feelings regarding the move. 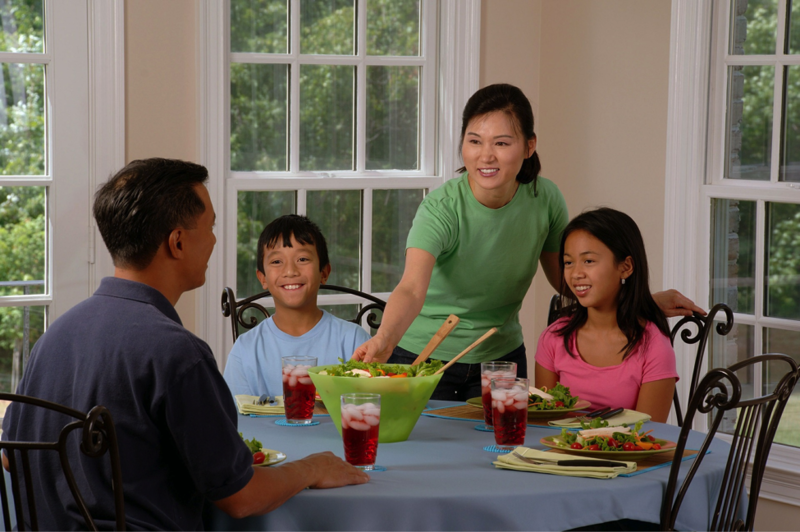 Fatherly reports that eating at home can help you pocket $160 per week per person, money you can spend to further customize your new accommodations. 4. Repair the air. If your home has wood floors, listen for creaking sounds as you walk from room to room. If each step sounds like the door to a haunted mansion being opened, consider adding a humidifier. Not only will this provide valuable moisture to wood floors, stairs and trim, but will also help protect your furniture and upholstery. You can read this guide on how humidifiers replenish vapors in the air that can help you breathe easier and lower irritation caused by psoriasis and other dry skin conditions. 5. Color your world. Put your own stamp on your new house by adding a quick coat of paint, a set of vibrant curtains and coordinating rugs and accessories. Country Living discusses the different types of paint finishes and where they work best in this article by contributor Kathy Barnes. 6. Establish a routine. In the midst of unpacking boxes, it’s easy to stop watching the clock. However, it’s important to maintain your routine or establish a new one as soon as possible. This is especially important for children – and even more so if you’re moving to a markedly different environment. 7. Transfer services. Have your cable, Internet and phone services transferred prior to the move. If you can keep the same provider, you’ll already know how to work the remote. 8. Get to know your house. Spend an afternoon walking through each room along with the garage and attic to locate switches, outlets, AC vents and the water cut off. While you’re at it, take note of small improvements you can make to boost your quality of life. The Simple Dollar shares 19 easy home improvements to save money, which will come in handy as you pay off your moving expenses. 9. Know the rules. Different areas have different rules and regulations that may affect your family. Prior to moving, contact your new city planning department to find out if there are any restrictions against pets or pet ownership laws you should know about. Your HOA can provide you with specific guidelines unique to your new neighborhood. 10. Relax. Most importantly, relax. Once you’ve gotten your most-needed items unpacked, everything else can wait a day or two while you catch your breath and soak up your new surroundings. You don’t have to sit uncomfortably in an unfamiliar environment. Make your new house your forever home by prioritizing family time, home security and convenience.